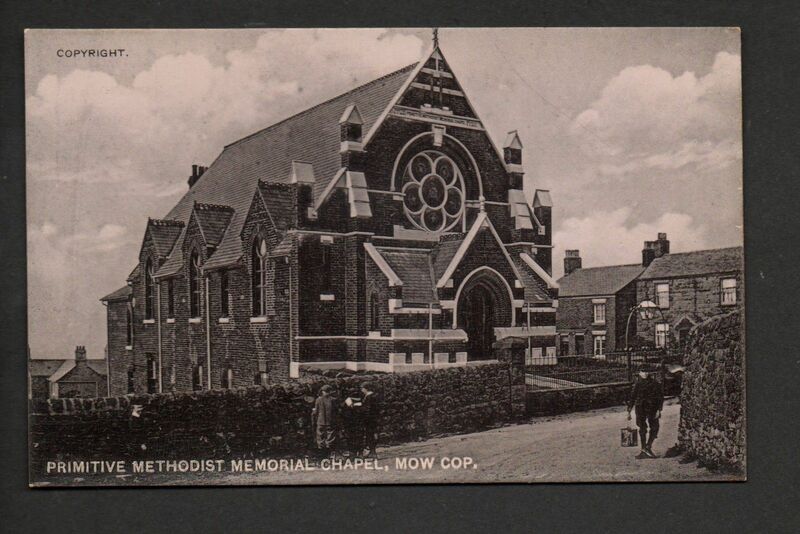 Each week from 15th April until Sunday 27 May from 2.00 – 4.30 pm the premises of Mow Cop Methodist Church will be open to the public for a guided tour. Last year among the visitors to the chapel to learn about Mow Cop and the ‘camp meeting’ were two classes from Heron Cross Primary School, Stoke-on-Trent. They produced a vast amount of art work which was put on display back at their school. The enclosed is one such example. Why not come along and check out a bit of our local history. A great big thank you to the great turnout; really positive. We all had a wonderful moment of blessing this Good Friday. Our journey started by walking the cross up to Mow Cop folly. Here we had a time of prayer, worship, singing some wonderful hymns to our Lord Jesus for the sacrifice he made for us to be set joyously free. We then headed back down the legendary Primitive Street to return to the church where we congregated around the outside of the church and the now erected cross to sing some more hymns to Stan’s wonderful playing, finishing up with the southern gospel classic: Where you there when they crucified my Lord. Afterwards we all headed inside to enjoy munching down on some buttery hot cross buns as we enjoyed a time of fellowship. Hope to see you all again next Easter as we plan to hold a bigger service at the Folly. The snow might be here folks, but we are still going ahead as planned- it just now makes the Christmas Fair all that much more festive!!! Roads are clear and passable, so come alone, have some fellowship and grab an early Christmas bargain. After much hullabaloo with the onset arrival of the snow in the morning, we actually had a really wonderful turnout for the Christmas Fair. Although I think we all ate too many mince pies, as all the scrumptious home-baked goods were all but gone come the end. Already looking forward to next years festive fun, and yes please for more snow on the day.